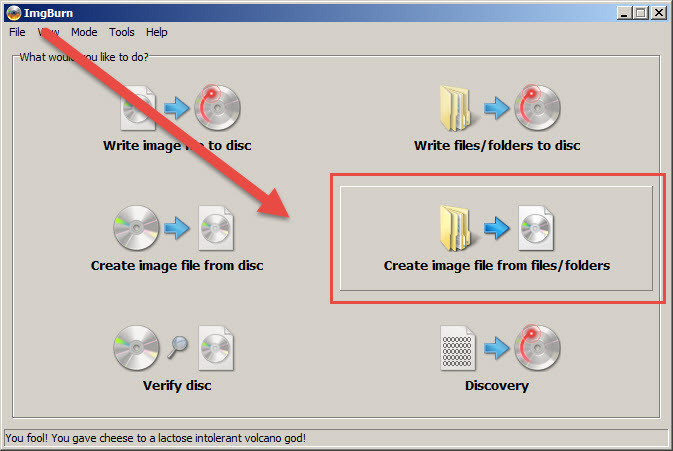 I'm looking for a portable freeware app that can create ISO images from files on my filesystem, not from an existing cd or dvd. I downloaded the portable InfraRecorder but it doesn't seem to be able to do this. Keeps giving me an error "You have no [sic] added any files to the current project. Do you want to continue, creating an empty filesystem?" But the project window has 3.5GB of files in it, so I don't know what's wrong with it. Their site is a mess of moved pages, broken links, and their forum is down for maintenance for several days now. Can anyone recommend an ISO creator that will do proper ISO9660+UDF, ISO Level 3, and Joliet formats? Simple and very small cmd executable,but has frontends available if you dont care to learn a whole buch of commands. Imgburn works great for this. I think its terminology for what the OP is doing is "Adding files to a project". Kind of unintuitive, but it works. I was also thinking Imgburn, but then the OP said write files to ISO so I thought Imgburn could only do that with optical media. Then for the hell of it I launched Imgburn and found out that indeed you can write files to ISO. 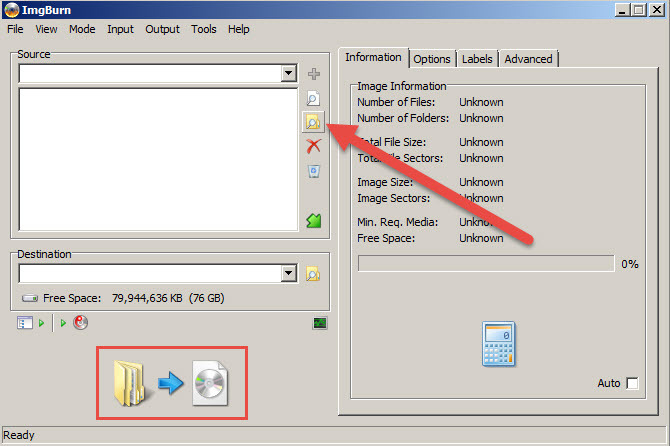 Very useful when you need to move a ton of small files, as opposed to doing a ZIP file. I gave the link to a portable version because he wanted portable. Besides, I have heard the new Imgburn comes packed with open candy or other crap so you must make sure to do a custom install. I like CDBurnerXP and Infrarecorder. Last time I tried to make an ISO with ImgBurn the ISO was way bigger than the sum of the file sizes, and I couldn't figure out why. mkisofs for me. Maybe you did something wrong ,all the IOS I've done before are much smaller than the sum of the file sizes . Any recommendations or tutorials on how to capture video to make a tutorial? Freeware Or Cheapware For Keyboard To Absorb Hard Striking W/O Wiping Out The Message?